Dexter Daily: Dexter Producer John Goldwyn: "Showtime Wouldn’t Let Us Kill Dexter"
Dexter Producer John Goldwyn: "Showtime Wouldn’t Let Us Kill Dexter"
Dexter producer John Goldwyn was asked about the series finale at the NYFF premiere of The Secret Life of Walter Mitty this weekend, on how the writers decided on that ending. "They won't let us kill him," he told us. "Showtime was very clear about that. When we told them the arc for the last season, they just said, 'Just to be clear, he's going to live.' There were a lot of endings discussed because it was a very interesting problem to solve, to bring it to a close. 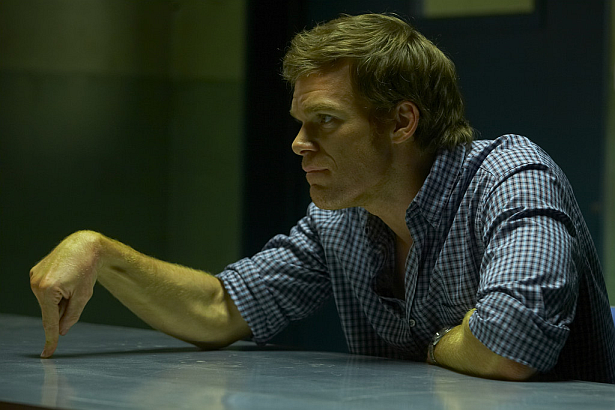 People have a relationship with Dexter, even if it doesn't have the size and the ferocity of the fan base for Breaking Bad. But it has a very core loyal following."